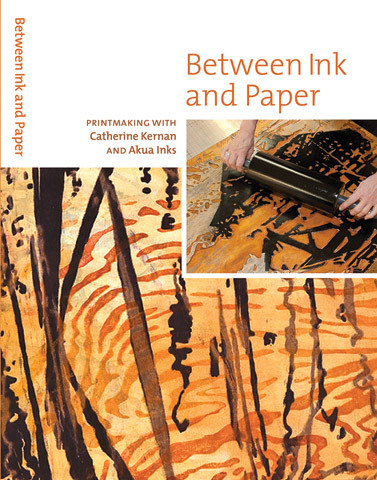 In concise and beautifully filmed demonstrations, this 85 minute DVD reveals the synergy between inks, blocks and color in Catherine Kernan's print process. In an ever-inventive woodcut mono-print process, Kernan exploits unorthodox techniques that are sure to stimulate printmakers from beginner to expert. These include offsets to plastic, viscosity rolls, as well as sandwiching giant plywood blocks together and pulling ink from one block to another. Kernan immerses the artist in the brilliance and transparency of Akua Inks along with modifiers, versatility, their long working time and easy clean up with soap and water.